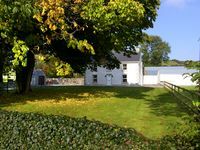 Great location 15 minutes from amazing beach by car, not much to walk to but lovely country side. House is nicely stocked with kitchen ware., spacious living between two sitting rooms and 4 large bedrooms all upstairs. There is a mobile wifi which we had to top up ourselves so WiFi available at a charge but cell service is decent in the area so not to bad. 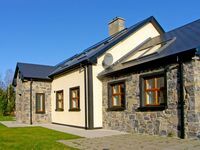 Towns near by 10 minutes to Ballyshannon Donegal town which is where I would go to grocery shop is 15 minutes with a SuperValu which has a great selection of everything you would need. Mr Hammond is lovely and efficient, very proactive owner and friendly disposition. Great cottage to spend a week with family. The cottage had plenty of room for our group of 9 and had all the things we needed. The owners were very accommodating and made the stay great.